Independent & Group Bali Tours Packages in 2019/2020 from Travelbag. 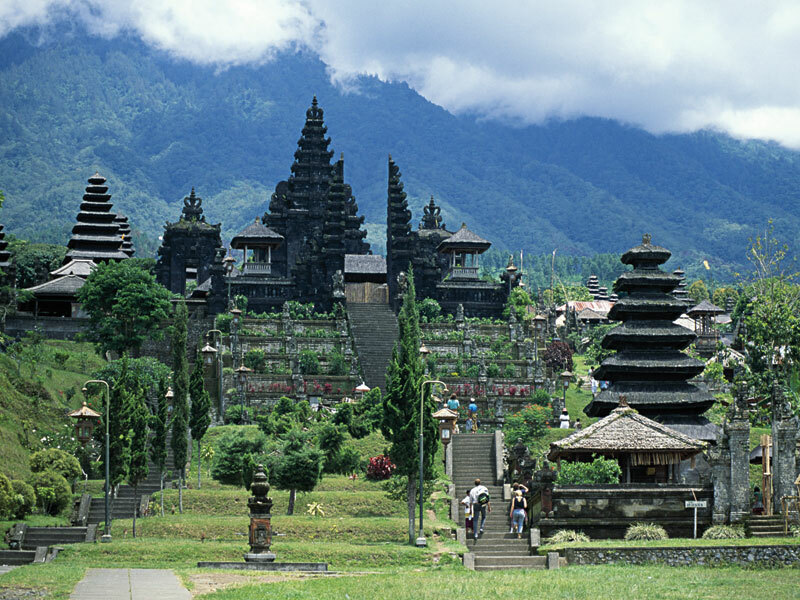 Natural splendour meets ancient tradition throughout the mystic island of Bali, an island belonging to Indonesia and a magnificent destination filled with beauty and rich in culture where travellers can create the most unforgettable holiday experiences. Steeped in both religion and mythology, the verdant landscape is home to a number of significant temples dedicated to the age old traditions of Hinduism, whose beliefs include the balance of one’s karma as seen through the acts of daily morality. The rugged landscape houses a number of wonders both high and low, from the peak of the Mount Batur volcano to the azure depths of the Indian Ocean, with every glorious view in between ranging from small villages to bustling cities and from dense emerald tropics to both black volcanic and pristine white beaches. Discover the charm of each community throughout Bali, all with their own characteristics and highlights, with market stall trinkets and handicrafts being a main feature found throughout the winding streets of Kuta while the chic, upmarket restaurants of Seminyak urge travellers to sample their fresh local flavours. Even the creative hub of Ubud has spent time in the limelight, serving once as a bohemian escape, the town is now a centre for arts, food and dance, made famous as the setting for the romantic drama ‘Eat Pray Love’. Desperately seeking culture? Bali has that in spades, with the striking statue of Vishnu a significant landmark located in the Garuda Wisnu Kencana cultural park along the Bukit Peninsula, while the temple of Tanah Lot sits atop a rock formation in Tabanan, one of seven temples located around the Balinese coast dedicated to the ancient sea gods. Excitement abound for adventurers looking for memorable thrills, with travellers spending time among the coral reef of Nusa Penida as they dive and snorkel to discover the myriad of sea life that inhabit the deep waters. 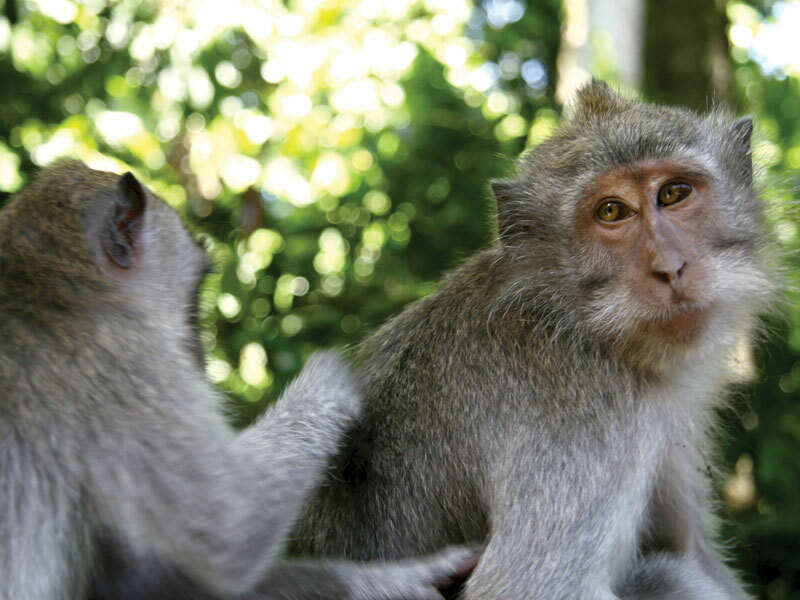 Get up close and personal with the indigenous wildlife at the Ubud Monkey Forest where the local macaques make it a habit to descend from the treetops to interact with tourists. And if that’s not enough, why not test your nerves as you white water raft through the rivers of Ubud, which are filled with twists, turns and spiralling waters as well as magnificent scenery. But after all is said and done, actions speak louder than words, and with a visit to Bali your actions are sure to be heard for a long time to come. 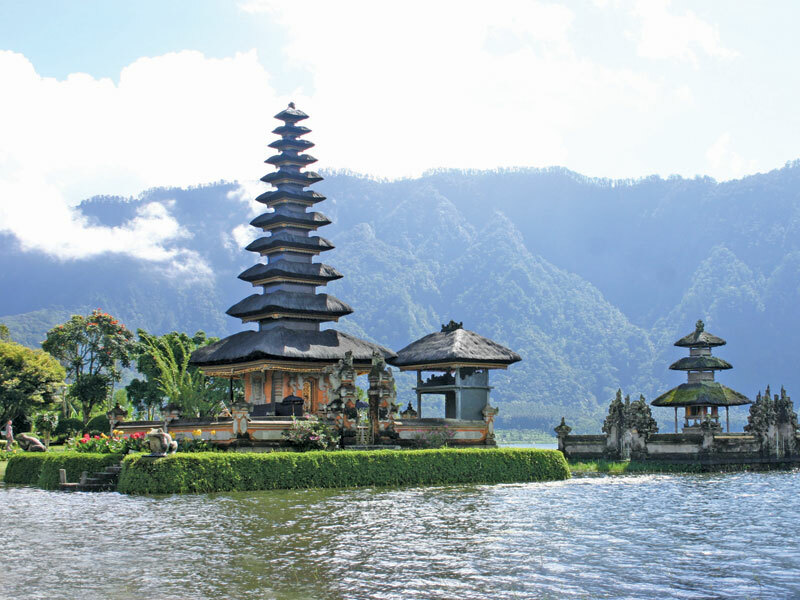 Take in the best that the Bali has to offer on an eight day trip taking in the fascinating culture, ancient ruins, stunning scenery, artistic villages and relaxing beaches of this beautiful Indonesian island. 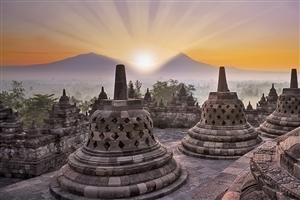 Explore the delights of three of Indonesia’s many islands on a 13 day trip through Java, Sulawesi and Bali; examining the local cultures along the way as you travel through beautiful countryside, visit local temples and gain an insight into Indonesian life. 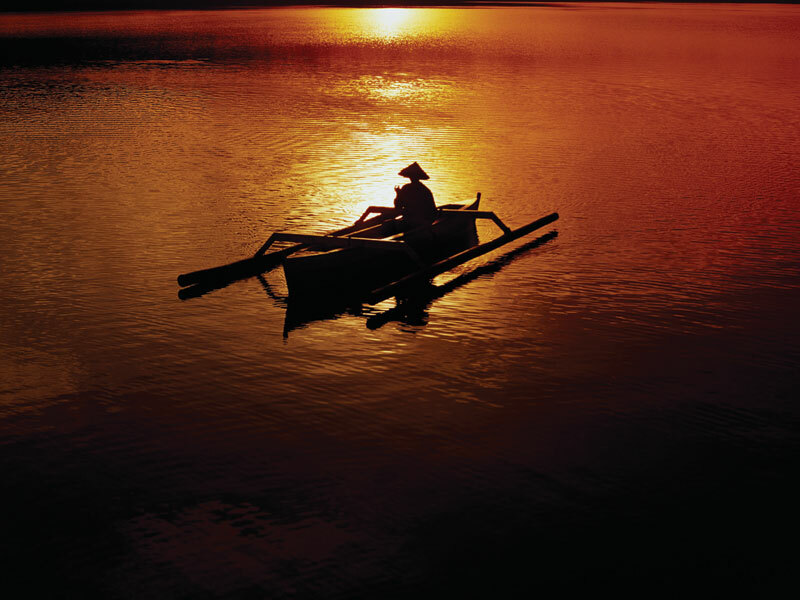 Whether it’s embracing the culture of the towns and cities that make up Bali’s hospitable populous or cutting a swath through the rugged jungle landscape to uncover natural landmarks, the enriched country of Bali is yours to discover for a truly memorable exotic experience. Travelbag are happy to accommodate your tour across the majestic lands, filled with deep seeded traditions and stunning views in all directions. 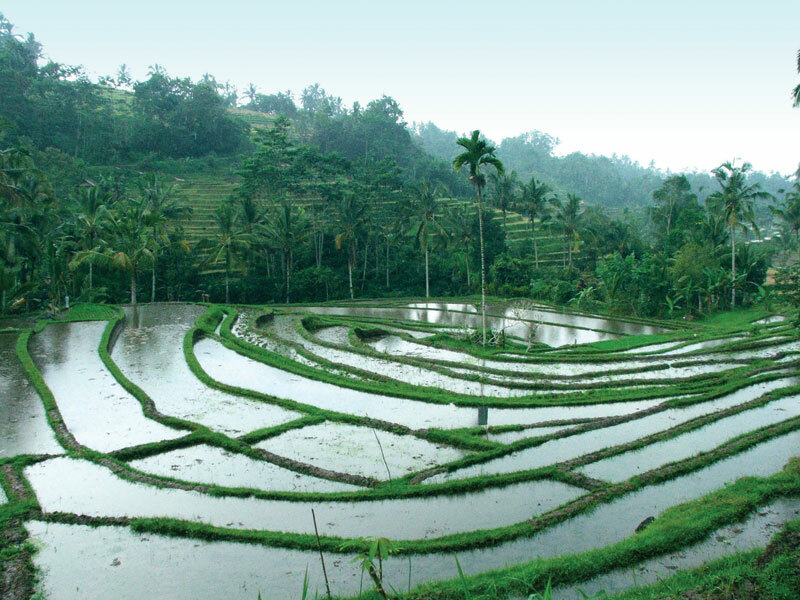 From the lively ambiance of Kuta village to the peace and serenity of Seminyak, and from the aquatic mysteries found in the waters of Nusa Penida to the dense tropics that surround the rice paddies and temples of Ubud, our tours highlight every important aspect of Bali to accommodate your holiday no matter the inclination. 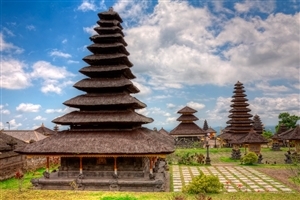 The tours featured in Bali range from the thrilling to the relaxing, with visits to cultural museums and ancient temples where the mythologies and religions of this ancient country can be traced along on a guided tour, to the more hands-on activities of deep-sea diving and mountain climbing to uncover magnificent sights that would otherwise elude the unadventurous. 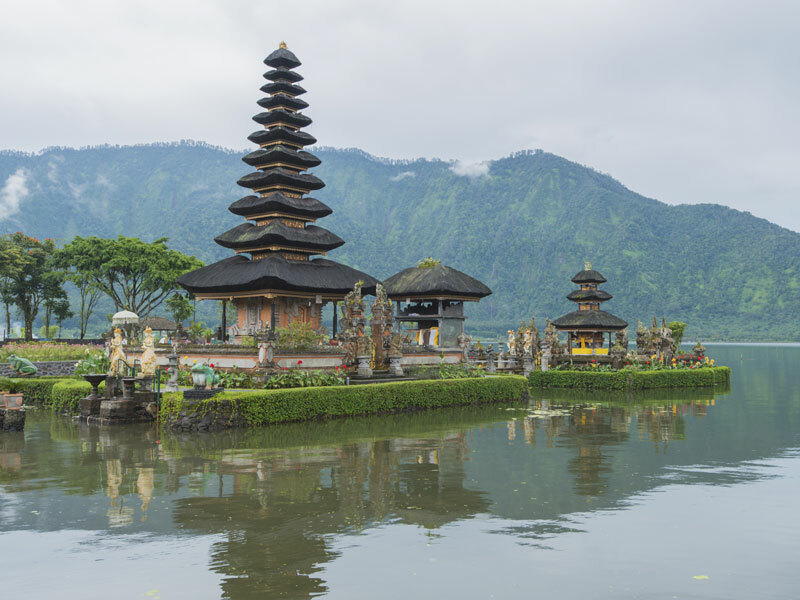 For more information about Travelbag’s excellent range of Bali tours, call to chat with one of our knowledgeable travel experts about creating the perfect Bali holiday for you. 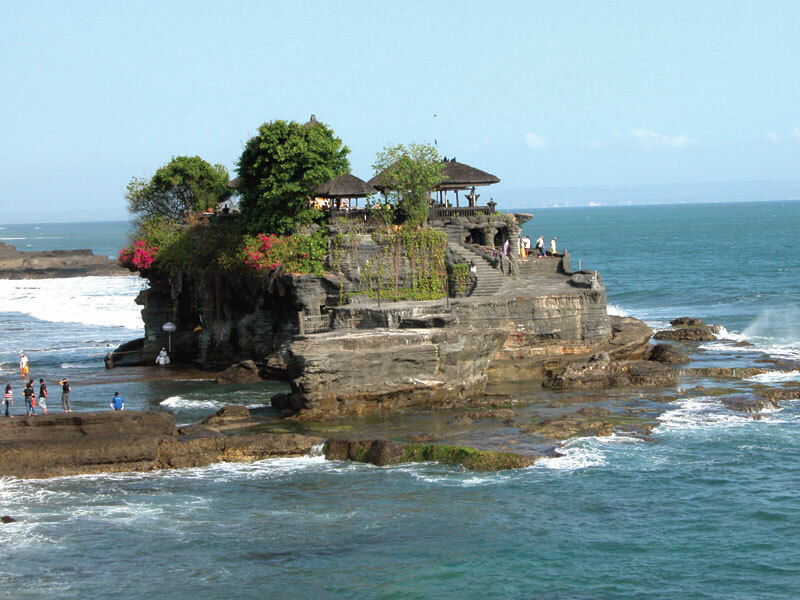 Visit the temple by the sea - Trek to Tanah Lot Temple in Tabanan, located on a rock formation along the ocean, this popular pilgrimage site is renowned for its serenity and significance in Balinese mythology. Uncover underwater wonders - Swim amongst the exotic marine life in Nusa Penida where manta rays and fish make their homes amongst the beautiful coral reef. There’s always time for monkey business - The Ubud Monkey Forest is a nature reserve that houses a number of macaques who are far from shy, interacting with the many tourists who venture through the area. 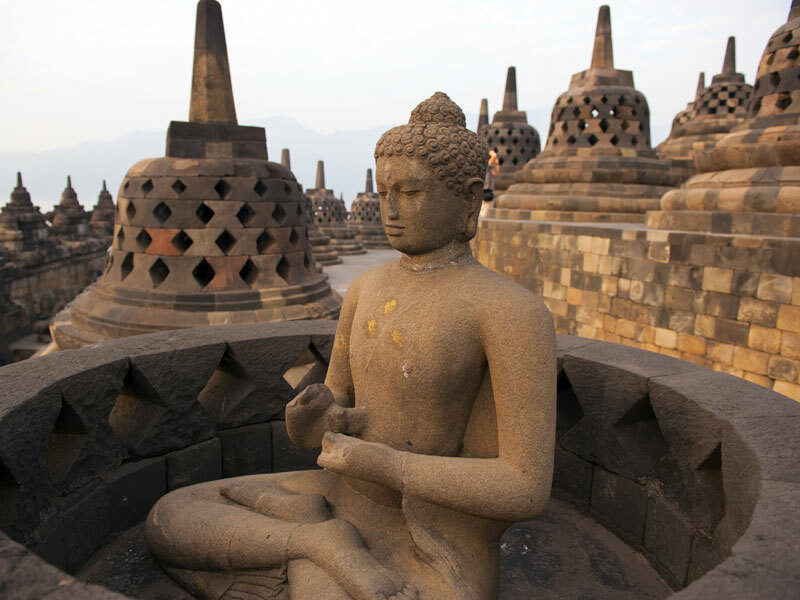 Marvel at the effigy of Vishnu - Visit Garuda Wisnu Kencana, a private cultural park that is home to a 23 meter statue of the Hindu god Vishnu and his mount, Garuda, King of Birds. Ascend the mighty Mount Batur - Climb an active volcano which soars 1700 meters into the sky, follow the hiking trails to the summit for stunning views over the verdant landscape. Hold on to your life jackets - Bali Adventure Rafting in Ubud is the perfect way to get the heart pumping as you navigate rivers filled with vortexes, sudden drops and not to mention stunning scenery. Look out for dolphins - Lovina is one of the best places in the world for dolphin sighting, relax out on the water aboard a boat and watch as the majestic sea mammals surface and make their presence known. Witness the mesmerising monkey dance - Watch as locals perform the traditional Balinese dance known as Kecak, a routine which features no instruments, only vocal chanting, whose roots stem from ancient lore and trance-inducing exorcism rituals. 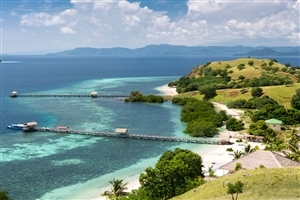 Meet the neighbours - The neighbouring island of Lombok is filled with pristine beaches and temples of its own, with the smaller surrounding Gili islands proving to be a serene escape for a feeling of island seclusion. Discover a piece of nature’s bounty - See the magnificence of Sekumpul Falls as the rushing water cascades down past the jungle foliage, be warned, you are likely to get wet on this one. The renowned capital city of Bali, a bustling area filled with intricate statues, historic architecture and some of the friendliest people in Bali. 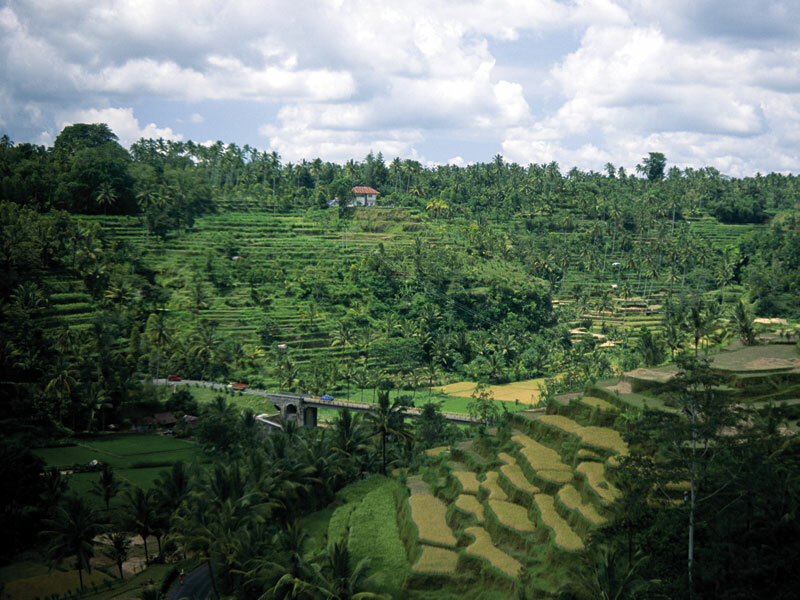 Ubud is the epicentre of culture in Bali and a prime location that contains the best of everything the country has to offer, including natural beauty, ancient tradition, and significant temples. Although unfinished, the statue of the Hindu god Vishnu is an awe inspiring sight, standing currently at 23 meters, upon completion it will be the tallest statue in the world. How often does one get to see history literally in the making? One look at the Tanah Lot temple and you will know you've seen a unique spectacle, a popular icon of pilgrimage steeped in cultural mythos, the temple sits atop a large offshore rock that has been shaped over time by the ocean. The upmarket suburb of Seminyak is an easy-going, sophisticated beach town, mostly filled with high quality eateries, bars and shopping outlets. 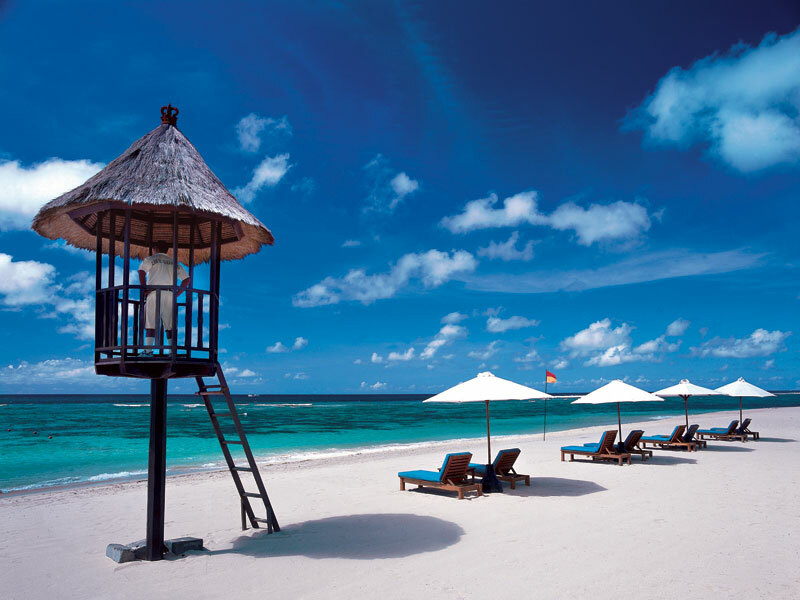 The beaches in particular tend to be quieter during the day than most others in Bali. Home of the most popular beach in Bali, Kuta is a lively area filled with a buzzing ambiance which encourages visitors to mingle, party and generally have a good time among the bars and network of streets.